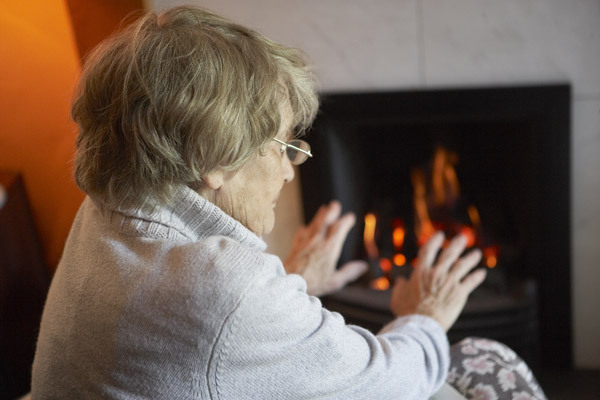 Those in fuel poverty are the victims of poor energy efficiency policy. The British government’s policies on energy efficiency are causing a crisis in the industry where confidence has hit an all-time low. This is coming at a time when, by contrast, consumers and investors are beginning to gain enthusiasm for energy efficiency, not just in the UK, but in Europe and the US. More and more accurate tools are being devised to improve the energy use of buildings, whether involving newbuilds or retrofit projects. But none of this is yet affecting the tragic victims of neglecting energy efficiency. 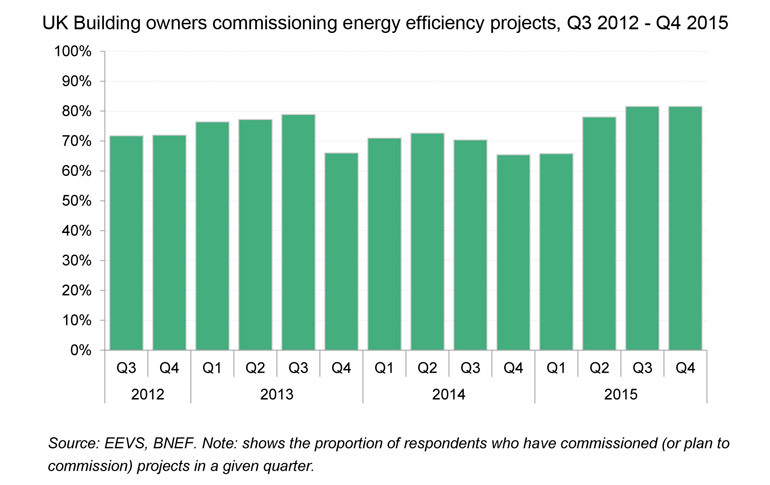 The latest quarterly Energy Efficiency Trends report on the non-residential energy efficiency market has revealed that confidence is at an all-time low amongst suppliers. 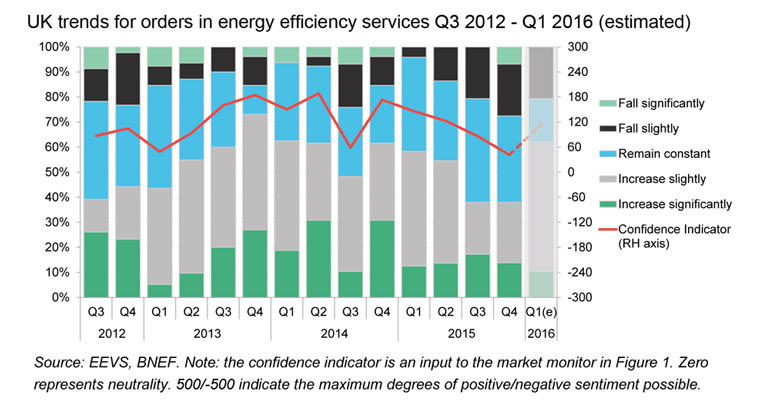 Declines in customer orders have led them to report almost universally negative views of British government action on energy efficiency. Most “consider the government’s management of energy efficiency policy as ineffective”, the report says. Low energy prices and the “perception of cheap energy costs going forward” have combined with this to make a double whammy for the sector. But this is not the case from the consumers’ angle. Building owners or managers were far more positive, with eight out of 10 reporting undertaking projects, of which LED lighting continued to dominate investment. Spending was reported to be increasing and – especially reassuring – there were signs of increasing awareness (and deployment) of robust performance measurement (installing measurement and verification tools) to help ensure that investments do return the expected financial savings. As mentioned above, upgrading street lighting to LEDs is a new popular trend in energy efficiency investing. A recent high profile investment in this area is the loan of £9.87 million over four financial years by the UK Green Investment Bank to Stirling Council in Scotland, announced last week. This will help the municipality to save £31 million (AU$58.4m) over the 30 years of the lights’ expected life by erecting 12,000 LED lamps and 4000 lamp posts. The loan comes from the Green Investment Bank’s “Green Loan” scheme, which is designed to help local authorities make the switch to low energy streetlights and to improve energy efficiency in the National Health Service. Edward Northam, head of investment banking at the GIB, said that “more and more local authorities are considering the benefits of the spend-to-save approach, with Stirling becoming the third UK council to opt for a green loan”. Other investment banks are also seeing the advantage of investing in energy efficiency. The European Investment Bank is lending a further €19.5 million (AU$28.8m) – the second tranche of a €42 million (AU$62m) loan – to finance part two of a refurbishment programme for multi-family apartment housing in Bucharest. This represents about 75 per cent of the project’s cost. The bank has already provided some €400 million (AU$591m) to finance the energy efficiency refurbishment of multi-apartment buildings in the city. The work is expected to save around 50 per cent of the heating energy used in the 140 buildings – comprising 9500 apartments – that’s about 74 gigawatt-hours a year. 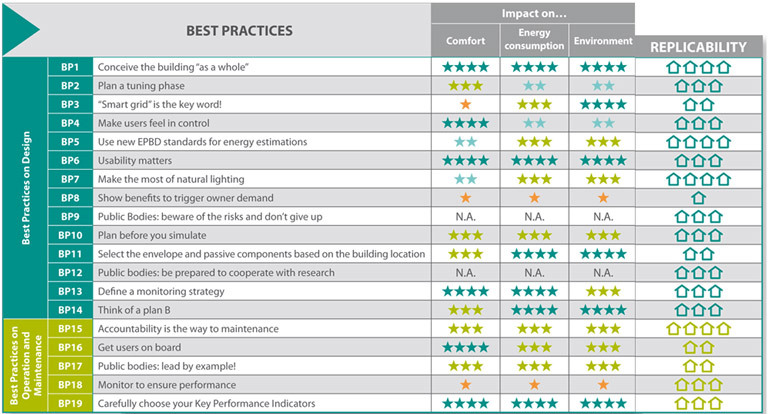 Reducing energy use in buildings has other benefits besides saving money and carbon emissions. 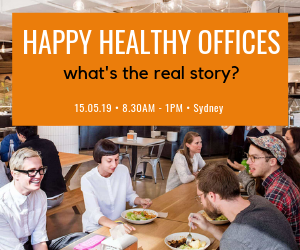 Independently validated research shows that it makes the building’s occupants happier. The increase in customer confidence may show that the message is finally getting through about the 10-80-10 rule, discovered in 2013. This is that 10 per cent of the total lifetime cost of the average commercial building comes from its construction; 80 per cent is spent on operating it during its lifetime; the remaining 10 per cent is in dismantling it. Therefore 90 per cent of a building’s costs are entirely influenced by its design, construction and operation. This rule comes from numerous studies, including the Egan Report on Rethinking construction. Research from BSRIA and BRE has shown how better planning at new building or refurbishment design stage, and greater care in implementation, result in lower operational costs and better building performance – and therefore greater occupant satisfaction. Josefina Lindblom, policy adviser at the European Commission with responsibility for resource efficiency in the building sector, is an advocate of a whole lifecycle costing of energy use in the construction, arguing for a wider approach to evaluating performance and resource efficiency. She can be seen in a series of videos, the Construction Climate Talks, part of the Construction Climate Challenge Initiative. Measuring lifetime impacts is the new trend in energy efficiency investment and a number of tools are being developed for this purpose. In the US, the bar has been raised by the LEED Dynamic Plaque. This is billed as “the next step in measuring and improving building performance over the life of these buildings”. 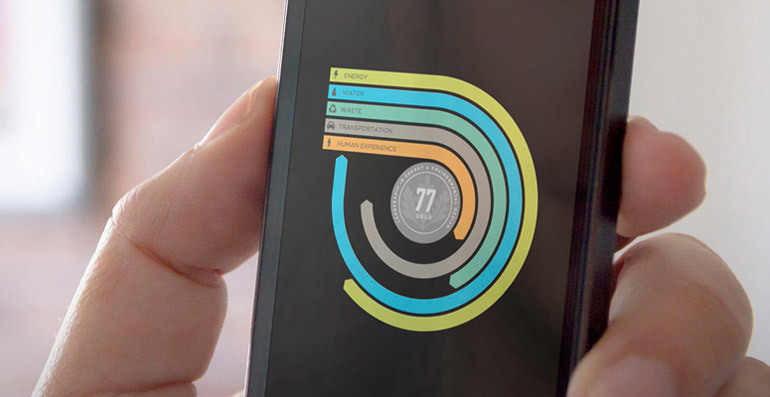 Dynamic Plaque is a display in a building’s lobby or other prominent location that uses data streams, the results of annual surveys and aspects of building performance data to generate a self-updating LEED performance score. Everyone is therefore able to see how the building is performing in relation to the use of energy, water, waste and transportation, and to occupant experience. The display includes a timeline that allows for comparison between the current period and previous months or years, and average scores from other LEED certified buildings. This allows building facilities staff and even tenants/occupiers to take an active role in improving the efficiency and performance of the building. There is even an iPhone app that goes with it. In Europe, an even bigger four-year project to benchmark real-world building performance is reaching its conclusion. Called DIRECTION, the deep understanding of building performance that it has generated is now being made available to designers, owners, constructors, local authorities and all interested parties. It combines energy optimisation, highly efficient equipment and advanced energy management. This has been complemented with economic analysis and reporting, to create “a proven, sustainable model for construction”. Finally, another proprietary toolkit available for managers gives a practical methodology to identify and mitigate risks during large-scale retrofits. It is presently being used by the Greater London Authority’s RE:NEW programme. Its originator, Lisa Pasquale, of consultancy Six Cylinder, was recently recognised for her work with a Rising Star of 2016 award from the UK Green Building Council. Lisa says she sees her own mission as “raising awareness of certain shortfalls in our industry and influencing practices to improve performance outcomes for the built environment and construction sectors, and the people they serve”. Even greater advances are in the pipeline. Algorithms are being developed that will take Building Information Modelling (BIM) and M&V to the next level. These will allow the improvement of lighting and heating and cooling systems by identifying systems that aren’t working as intended – such as thermostats that don’t change temperatures at assigned times – and correcting them. 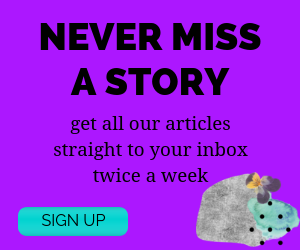 So far, these algorithms have worked well in the lab (specifically the US Department of Energy’s Pacific Northwest National Laboratory and Lawrence Berkeley National Laboratory). Now PNNL is testing them in the real world use, after which an Oregon-based company, NorthWrite, will adapt them for cloud-based software. These advances should all help to give municipalities, developers and building owners or managers greater confidence in investing in energy efficiency. In the UK this should help to give optimism to suppliers in the sector. The laggards are the UK government, and the real losers, sadly, are the victims of fuel poverty in uninsulated homes. New research shows that 9000 extra deaths were caused by low indoor temperatures in the UK in the winter of 2014-15. Unfortunately the cost of death doesn’t figure in business spreadsheets. Nor can these “building occupants” ever fill out a survey to quantify their “occupant experience”. Seen from this perspective, do you get the feeling that all the above seems a trifle, well, academic?